It’s a problem that even the most experienced bloggers can stumble into every now and again, so if you’re having trouble coming up with interesting blog post ideas, you most certainly are not alone. It’s likely that you’ve been searching around the web for tips about content creation and have come to the conclusion that all of your articles must contain an original idea with the likes that have never been heard of before. Sadly I can’t help but feel that you have been (unintentionally) led astray by these types of advice. Now you may be wondering why I’m rebuking the argument that your content must be “original and unique” since you don’t really hear anyone else out there saying otherwise. Well I’m here to tell you that there is no such thing as an “original idea” when it comes to writing. Every idea that you can think of has been done before, sometimes to the point of overkill. To put your mind at ease, let me put it this way. If you’re not offending somebody, you’re not doing it right. If you’re not offending somebody, you’re not making a big enough impact with your content. It’s impossible to please everybody. Aside from the sissies who will take offense or don’t like your content, there will surely be individuals out there who will love it. …there is also something else that you need to know that will clear up any confusion you may have whenever the phrase “create unique and original content” comes up. When people talk about unique and original content, they are referring to the fact that you wrote a particular article yourself and that it contains your own personal thoughts, ideas and experiences when it comes to that particular topic. It’s not the topic itself that is unique since there are thousands of articles already in existence about any topic out there. It’s the author’s personal input and character that is expressed through the writing that makes it “unique”. Although this may seem like common knowledge or a basic principle when it comes to blogging, it’s amazing how many people skip this step. Chances are, if you’re struggling when it comes to thinking of something interesting to post about, you’re spreading yourself thin by trying to cover everything that there is within your field. I’ll use myself as an example. 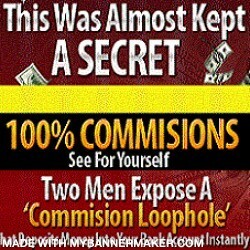 I’m a network/internet marketer. Now there are a range of topics that I can cover within this profession like blogging, PPC, solo ads, or prospecting. In the beginning, I fooled myself into thinking that if I covered everything then I would have an unlimited amount of blog post ideas at my disposal and that my blog would get heaps of traffic due to the wide range of topics. By doing that, I increased the amount of information that I would need to learn, I had to force myself to write about topics that I didn’t really enjoy, and by having too much choice about what I had to write about, it took me longer to make up my own damn mind about what to blog about. So I did what I had to. I chose one aspect about internet/network marketing that I enjoyed learning and writing about and stuck with that (blogging and seo). You may think that there is so much you can write about in a narrowed niche, but you may surprised to learn that it’s the opposite. To prove my point, keep reading and you will see how it’s quite easy to come up with fresh content for any niche. If you’re at all serious about building a successful home business, then you should be constantly trying to learn new things, keep up to date about any new strategies or technology relevant to your niche, and attending trainings or webinar’s regularly. Every time you learn something new in those trainings, take one idea in that training and turn it into a blog post. Once I attended a webinar about how to reel in leads with facebook marketing and in that 1hr and 45 minutes of training, there was enough information in there for me to have written at least 10 blog post on. If you’ve learned about a new piece of technology that can improve or leverage your business, review it. Same thing for new services and products in your niche. However for that last point, I recommend only reviewing something that you have bought and used yourself. Your personal brand and reputation is on the line, and the last thing you want to do is tarnish that by misleading your prospects. If you’ve encountered something within your niche that you feel strongly about, or disagree with, don’t be afraid to write about it. Too often people refrain themselves from writing about something due to fear of stepping on other people’s toes, negative comments, or making themselves look bad. As I mentioned before, if you’re not offending somebody you’re not doing it right. A harsh fact that you need to accept is that when building your brand, you must develop a thick skin against all the negative feedback. It’s a sign that you are making a big splash within your niche. If you can’t accept this, then you won’t be getting very far. For example, a post was written about how it’s unwise to buy products and services from the warrior forum. Not only did Glenn’s (the author) post go viral because it was such a controversial topic, but he got a lot of thank you emails for helping a lot of people avoid getting scammed. Often when the mind draws blanks for interesting blog post ideas, it’s usually a good sign to head on over to websites that are designed to answer other people’s questions. Nothing better than writing a post that provides the solution to a problem that your target audience is actively searching for. You can try websites like yahoo answers or Quora, websites which are designed to answer your prospects problems, and use the answers and questions as inspiration for your next post. 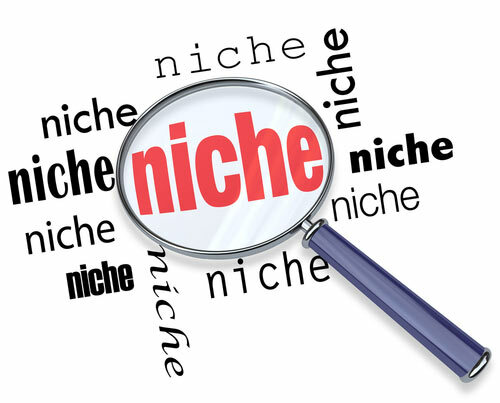 Another good way to gather information about what you particular niche is talking about is visiting the forums. Not only is this a good way for you to ask your own questions, build connections and find out all the latest happenings, it’s a nest of ideas for you to blog about. This is another great way for you to get an insight into what people are asking about, what their concerns are. You can use the various answers given within a thread as a list post. Good forums you can use for ideas include the warriorforum (be very cautious about what you buy here) and betternetworker (the ideal community for network marketers). If you choose to blog about a narrow topic that you are passionate about, then chances are you are actively searching around the internet for blogs and articles to help you learn more about it. Inevitably (Agent Smith anyone? 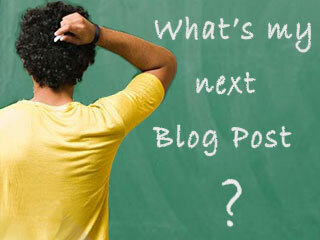 ), the more you read, the more ideas think of and swipe from these other bloggers. Is that stealing? I wouldn’t say so. Like I said before, no blog topic is original since they’ve all been done to death. You make it original by adding your own voice to it and using the content’s ideas to fuel your own imagination on how to write your post. Oftentimes, when reading somebody else’s content, inspiration strikes me and I find myself thinking “Hey I haven’t written about this yet, I should add this topic to my blog”. I don’t “borrow” word for word, or paragraph by paragraph, what the other bloggers write about. I use the overall idea of the blog post and use that to form my own ideas and you should too. So are there any other ideas for coming with blog post ideas that I haven’t mentioned here? If so share it by dropping a comment about it below. Also do me a favor and share this post so that others can benefit too. P.S. If you would like to learn more about blogging, or how to make money with your blog then click here to discover how. Nicely put tina. these are a great list of ideas you can use to not run out of ideas Two stuck out to me. Picking A Niche and “Borrowing” Other Peoples Content. It’s vital that you pick something that’s of interest to you and give it your personality. People like individuality and different perspectives. This is a way to great way to brand yourself, especially if you “borrow” other peoples content. You’re readers may have seen the same perspective about different topics, and it would be great for them to give them different point of view. It may or may not resonate with them, but it makes it all the more interesting. I completely agree. Too many people get caught up in the idea of being “original” and it’s this obsession that stops people from actually writing and publishing anything. This Blog its good. You have many information. I’m interested especially in direct marketing.